Our garden is not much to look at right now. Ade has prepared it for the spring; he’s pruned, cut back, tidied up and planted bulbs, but there is little of interest at this time of year. 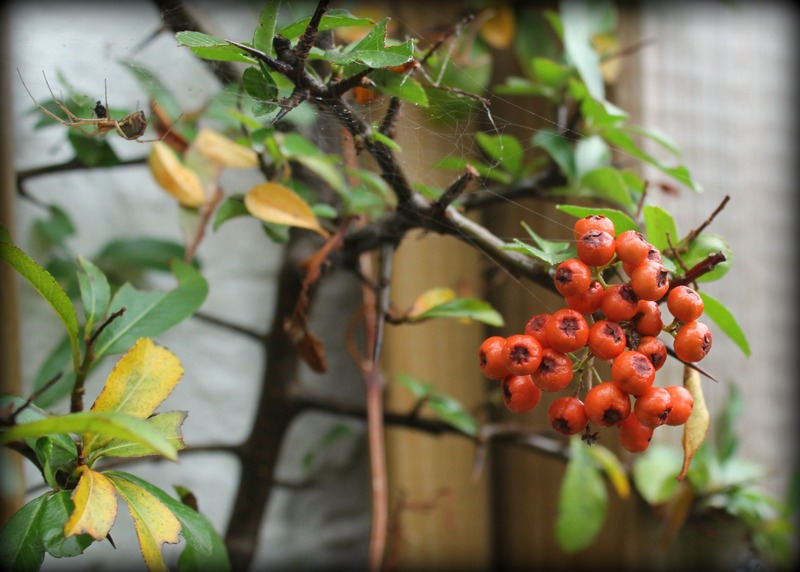 Particularly under the dark, leaden sky we’ve had over the last few days, a quick glance and the garden seems almost bereft of life. But if you look closely, there are a few jewels to behold. 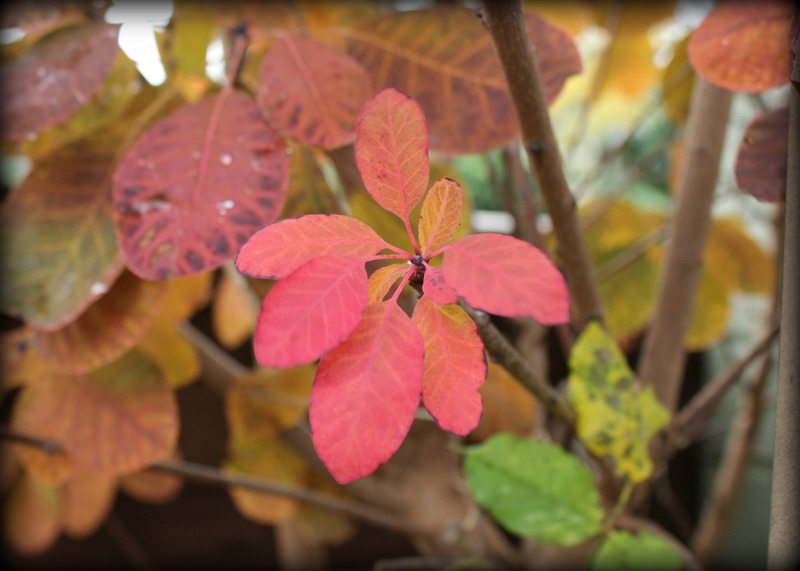 … and the flaming foliage of the smoke bush (Cotinus) is always good value at this time of year. 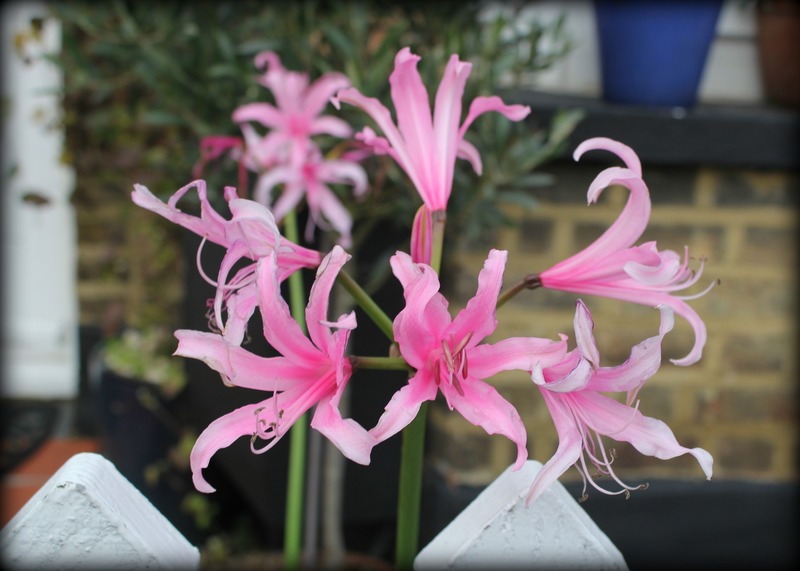 But the most colourful blooms can be found in the front garden, where our Nerines are thriving. 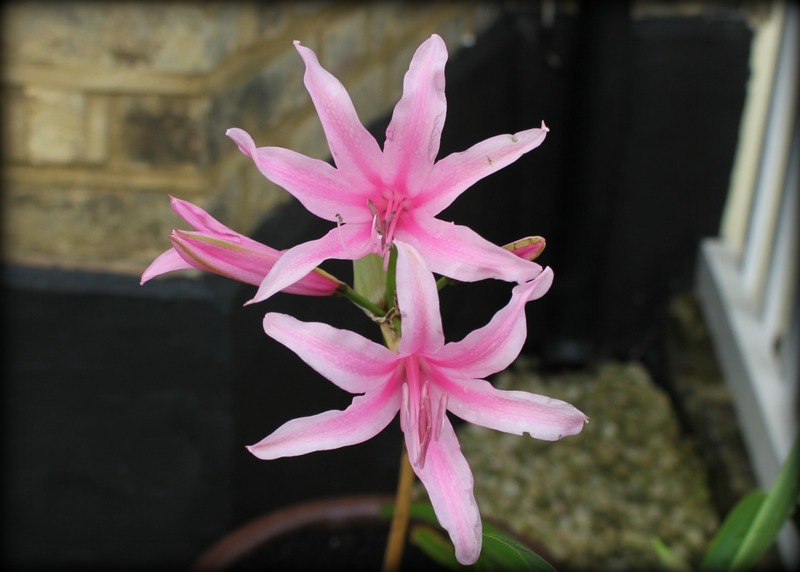 Nerines are a new discovery for us. Ade was given some bulbs last Christmas (thanks, Mum!) and he planted them during the winter. 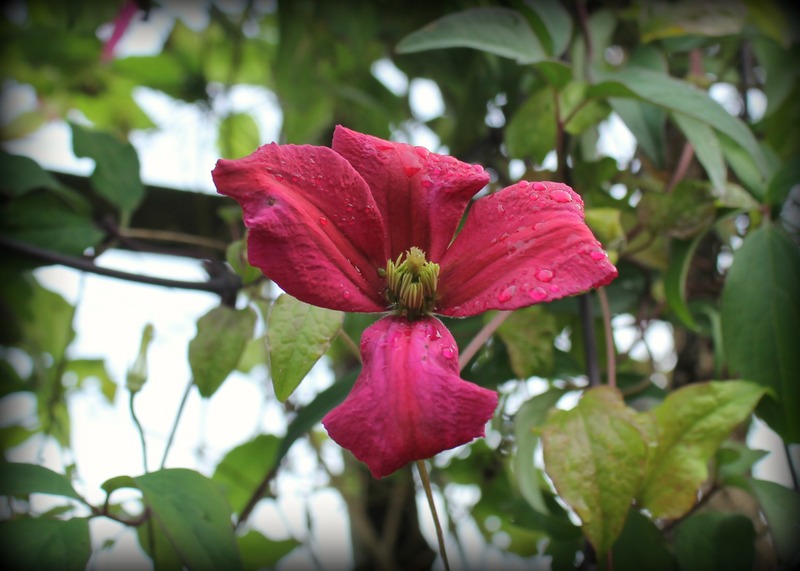 Their delicate, bright flowers have been blooming for weeks and provide a welcome splash of pink in an otherwise empty corner of the garden. Never heard of nerines. They are beautiful and, I’m sure, most welcome this time of year. CONGRATULATIONS! Just seen that Agents Ade And Sophie have won Blog of the Year – BRILLIANT!! !